Last year was a whirlwind of change and self-discovery. 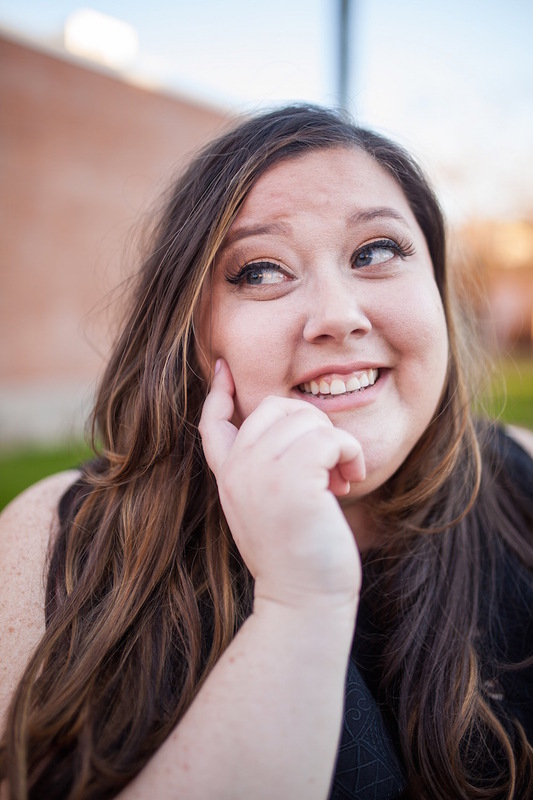 Many changes were made in my life and perhaps the biggest and most influential change was when I quit my full-time job working in the corporate world to pursue blogging as my full-time career. Becoming my own boss taught me a lot about myself, my perseverance, and my dedication. Between putting the stability of my family on the line and making a huge leap of faith, leaving a comfortable job removed all sense of stability; all of 2015 was spent hustling until I got what I want--which was a paycheck. I wanted to prove that I could make a real living as an independent freelance writer, so making money was truly my only goal. With the arrival of the new year on my heels just a few weeks back, I started brainstorming what my goals were going to be for 2016. After spending the first month of the year truly thinking things over, I have finally decided what my resolution for 2016 is going to be. This year, I am going to focus less on making changes in my life and focus more on improving what I already have: my career, my relationships, my health, and my mindset. Everyone always talks about making huge changes for their new year's resolution and creating a "new me," but really, my outlook on 2016 is going to be all about maintaining what I have (and making what I have just that much better!) Essentially, I am striving to make the 2015 version of myself just a little bit better all-around. Remaining focused on my resolution to better myself this year is something I have thought a lot about. Knowing that I succeed most when I have a list to turn to helped me determine what exactly I needed to do this month to lay out the goals for making 2016 all about bettering myself. Over the weekend, I sat down and started journaling my ideas for what could make me an all-around better human; the first few things that came to my mind were improving: my career, my relationships, my health, and my mindset. Once I had an idea of what I wanted to work on, I began thinking about some list ideas that were general enough that I could fit them into my everyday schedule but also specific enough to keep me focused on the finish line. If there is one thing I have learned about being self-employed it is that my time is my most valuable commodity. I am a "yes man" through and through--if someone comes to me and asks for help, my gut instinct is to commit to it and help this person however I can. But when my time is what determines whether or not I can take on a project with a new client (and ultimately make money to pay my bills), I really need to decipher if something is worth my time. Now, I'm not planning on completely cutting out helping a friend in need. What I mean to say is when it comes to anything blog-related, my goal is to stop and evaluate the worth of an opportunity; emails and messages constantly come in filled with opportunities for me, but I'm learning now that I need to hone in on what projects truly matter and how an opportunity is valuable (or even invaluable) to me. Valuing my time is crucial if I want to better myself and my career in 2016. I wish I could say that every person I know is always supportive of my choices that I am passionate about. Last year, I spent more time than I would have liked to having to defend my actions to some people in my life; some older relatives, friends and co-workers did not understand or want to understand why I left the corporate world to become a blogger (undoubtedly the biggest chance of 2015). So, I spent a better part of the year having to speak up and try to convey my plan to those who questioned my choices. Over time, defending myself became muscle memory--so anytime someone wanted to talk to me about my career or what I did for a living, I was already preparing what I wanted to say in my head and not even truly listening to the person I was having a conversation with. My choices and my passion are worth defending, yes, but this year I'm making it a personal goal to hear someone out before I grab my megaphone and my notes ready to have a debate with someone. Listening is half of what makes something a conversation, so before I jump into talking about something, my goal is to stop preparing mental bullet notes as a response and focus more on what a person means when I am conversing with them. "Learn to Take a Break"
Sometimes, I do miss the days of having a 40 hour a week job. But when it doesn't feel like work because I am having fun and it's something I am passionate about, I tend to lose track of time. Being self-employed means there truly is no "off the clock" time. If an opportunity presents itself and it is time-sensitive in nature (like most of them are), I jump on it the second I get a chance. I don't kid myself--I know that I am a small fish in a big pond--so there is no way I will grow unless I continuously hustle and do what I need to do to rein in the job opportunities that matter most. However, I am only human. I go days when I feel like I need a break, but, I do not stop because I know that I am working toward a bigger goal. This year, my goal is to "learn to take a break" when I feel like I need one. Adam was essentially the only reason I took any "breaks" last year--he insisted that I needed to stop and take a breather so that I did not burn myself out. So I'm taking my hubby's great advice, and I'm learning to adjust my day-to-day schedule to his as much as I can (so we can have dedicated non-work time together). There is no denying I have some health concerns. Although I have been out of shape my whole life, this is truly the first time in my life when I have been the least active; my day as a blogger is spent working on the computer for hours and hours and sitting at my desk. Some small changes that I have already made to go along with my "sweat more" goal include: walking to the store instead of driving there, trying to step away from my desk unless I absolutely need to be sitting down, going to the gym on a regular basis, and walking at least once a day (even if it's something as small as walking to and from the mailbox). Our bodies are made to move, and I am weary that a sedentary lifestyle will lead to bigger health issues down the line. This year, I will be more conscious of when I am not moving and do something about it. I am not going to lie to you--it is difficult to be a food blogger if you have little to no willpower. Right now, my cabinet is jam-packed with sweets on sweets and I have to stop myself from snacking on the extra food that I have tucked away for upcoming recipes and blog posts. I won't deny myself from having a snack (because it helps keep me from overeating during my meals), so my goal for 2016 is to "snack smarter." I've already started switching over to enjoying treats like fresh fruits, nuts, and snack squares. The goodnessknows® snack squares are tasty treats that I like to enjoy in-between my meals. Today, I've partnered with them to share this post with you about my 2016 resolutions--and I'm also excited to share the goodnessknows® sweepstakes with you, too! Enter the goodnessknows® sweepstakes with a photo or quote for a chance to win one of two $500 gift cards up for grabs each week for three weeks beginning January 18th! Good luck! Made with real fruit, dark chocolate and whole nuts in bite-size portions, goodnessknows® snack squares are a better alternative to some of the other kinds of snacks I ate all throughout last year. 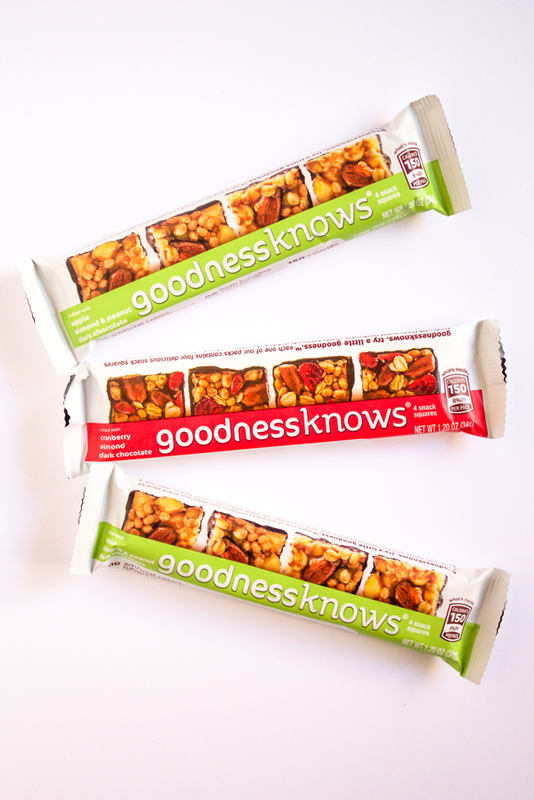 Two of my favorites are goodnessknows® Cranberry, Almond, Dark Chocolate and also goodnessknows® Apple, Almond & Peanut, Dark Chocolate (and you can even try a third flavor: goodnessknows® Peach & Cherry, Almond, Dark Chocolate). I like to pick up these snack squares when I am waiting in line at the check-out in Walmart. These 5 goals will collectively help me stay focused to better myself this year. I am more than confident that 2016 is going to be a more successful, healthier, and happier year than 2015 for sure. How do you turn your "goodness to greatness?" Click here for more ideas. I feel ya! I had a baby last year and I've been using that as an excuse to eat whatever I want and only exercise 4 times a month (because if I don't, my insurance won't pay for my gym membership...otherwise I wouldn't work out at all) Thanks for sharing this!!! Of course, Erin! Glad you enjoyed reading it! p.s. your insurance pays for your gym membership? That is awesome! I should look into if our health insurance does that too! These are great goals for the new year! I look forward to watching you implement them! the worst part of blogging is the amount of sitting - I have amped up my walking to make up for it. Glad to hear your 2016 is starting with a fresh new attitude. Totally agree--it's one of the biggest downsides to blogging for sure! Thanks for your kind words! Thanks so much, Cristi! I am glad to hear that taking the initiative to really value your time has made it easier for you to achieve your own goals--I hope I have the same impact with mine, too! Sounds like you have a great idea for your 2016! 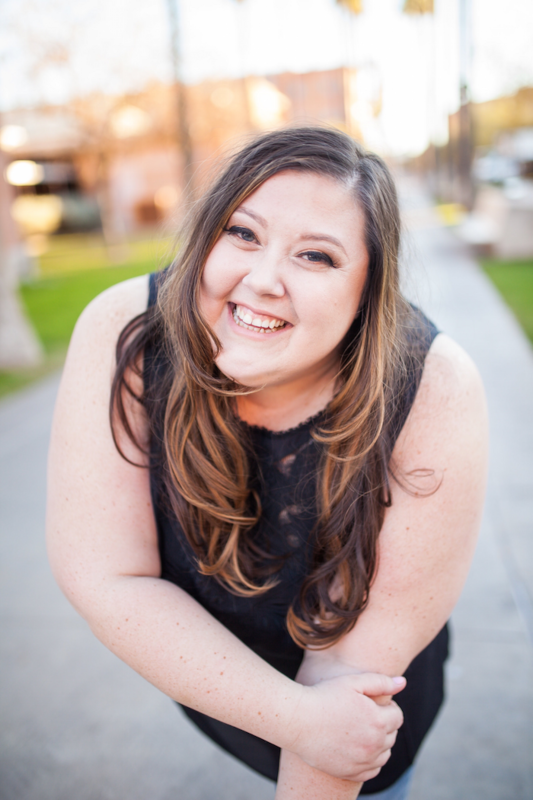 That's so exciting you were able to take the leap of faith in 2015 to blog full time! I took that leap a couple years ago and have not looked back! Good luck with your 2016! Emily, that is awesome you have been blogging full time for years!! I had no idea! And thanks! First off, your outfit is killer! You're rocking it! Second, I love your Sweat More section and how you said, "Our bodies are made to move" it's so true. Yesterday, I spent ALL day sitting on my couch blogging and working. I felt more aches and pains from sitting in the same spot than I did from a day of actually moving. Good luck with these goals, they are great ones! Thanks so much hun! You are so sweet--and yeah I have already noticed since I started actively moving all the time and exercising that my body has a lot less aches and pains for sure! I need to look into the timer apps! Cathy, I am totally impressed with you. I know how hard leaving security behind is to fulfill your own dreams! I wish all the best for you this year. Keep rocking your blog and your beautiful self. Today is my first day officially unemployed in years. I am doing my best to stay positive and get that hustle on like you did. Best of luck reaching your goals in 2016! I wish you all the best with unemployment and hope that something works out for you really quickly! That transition is not easy--I've been there so I can totally empathize. I have some of the same concerns & goals as you. I need to sweat more this year too. Once I got out of the habit, it's just too easy to sit at your computer all day! And I need to value my time more as well. I'm glad you are making these things a priority in your life! Thanks so much, Lucy! Yes, you should definitely value your time! Time is the one thing we all don't have enough of. This is a great list and what an exciting year! Plus, those bars look delish!! 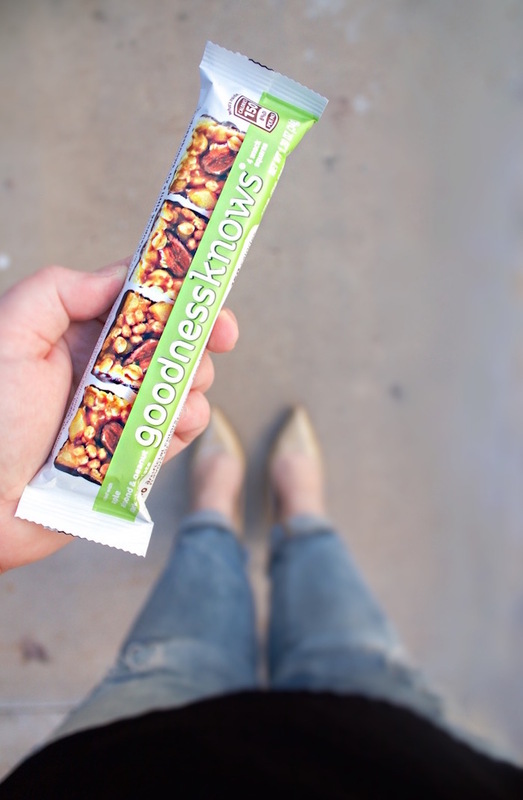 The goodnessknows® snack squares are totally delish! And thanks! I love your approach to New Year's Resolutions, I think it's a fabulous way to look at them by focusing on what you already have and improving. I also have a snack smarter/eat smarter goal for this year, I'll have to try out these bars! Good luck with your goals this year, Jillian! Yes, the goodnessknows® snack squares are very yummy and they help curb my cravings for sweets! First of all - you are so darn cute! Second of all, a big kudos to you for putting this out here - I struggle with many of the same issues as you do! Not many people understand what we do or why we do it. Valuing time is a big thing for me this year, too. Like, days run into days run into weeks run into months .... and I have no idea where any of the time went! I wish we were a bit closer - we could totally tackle the health stuff together! 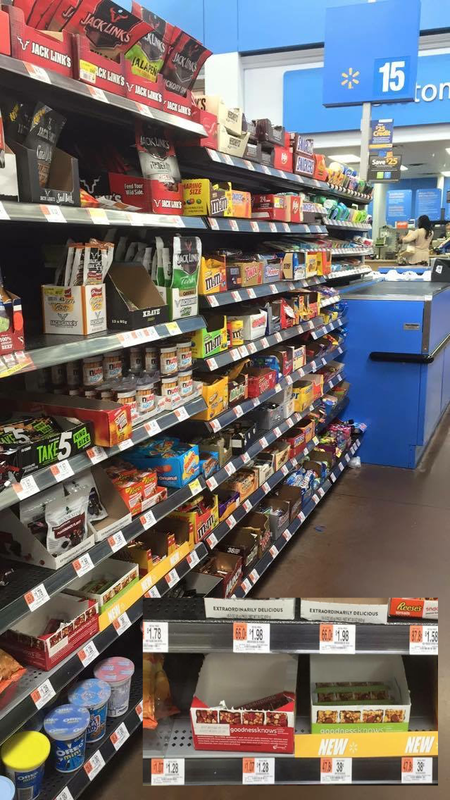 I don't think I have ever seen those bars - but I will be looking for them the next time I head to the store! Girly, your are such an inspiration. You are so right about those goals. I think I need to sit and analyze many of my goals. Even though I haven't yet got to a stage in which I could think about maintaining, I think I should rethink some of my goals a some aspects of my life could use a break and instead of keep pushing myself, just focus more on those that actually need to be accomplished. This year is definitely a year of big changes for me. It's been far too long with a life without independency. Hubby, Em and i need a space of our own, but for that blogging and design business must get to a stable state so I can trust I can move out. Probably that is my biggest goal of all. But I have also lost track of time and sometimes I do need to step back and spend more time with my girl and hubby as I did last Sunday. I need more of that and if I could once then my goal is to keep that up! There are so many things you say here that makes me think so much. It's the kind of reflexion I needed! Thank you so much girly! I am so glad to hear that reading my post was a sort of moment of reflexion for you, Cami! 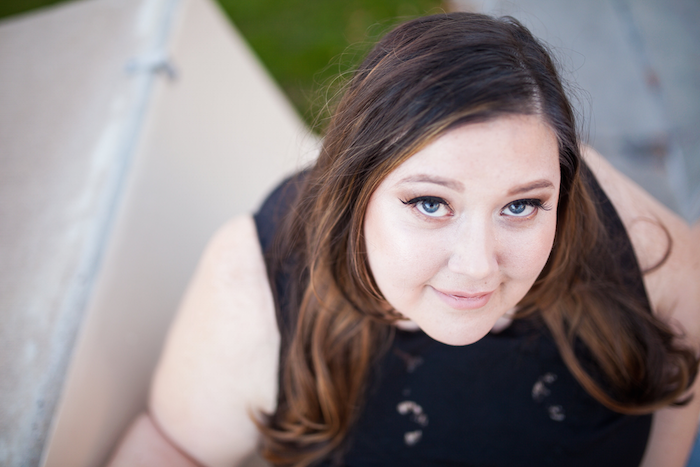 Thank you for telling me that my words that kind of impact on you--you know, sometimes I sit here and wonder if people really think about what I am saying, and it's a wonderful affirmation to read comments like yours <3 As for spending time with your hubby and your daughter--girl, I totally get that! I am glad that y'all got to spend some much-deserved quality time together! That's a great resolution! And yes, healthy snacking is critical to a healthy lifestyle. I have no doubt that you will achieve what you set your mind to. I was happy to see you go from corporate to full time blogger. Your pictures are amazing as usual. Love you much blogging buddy! First of all, you are gorgeous! Secondly, the best present my husband ever purchased for me was a fitbit. It helps me remain aware of when I'm being super sedentary. I'm literally in front of my computer all day, so every hour I stop for at least 10 minutes and walk/run in place to get my blood flowing. I also no longer sit on the couch and watch tv, I walk in place. I do random dance breaks with my toddlers, and we walk EVERYWHERE. Find something you love, like dancing, swimming, or yoga, and do it often and you'll notice the changes. Good luck with your goals beautiful! Great ideas!! Thank you so much for your supportive words, Theresa!